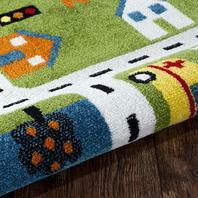 Have some fun with your decor! 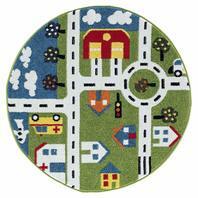 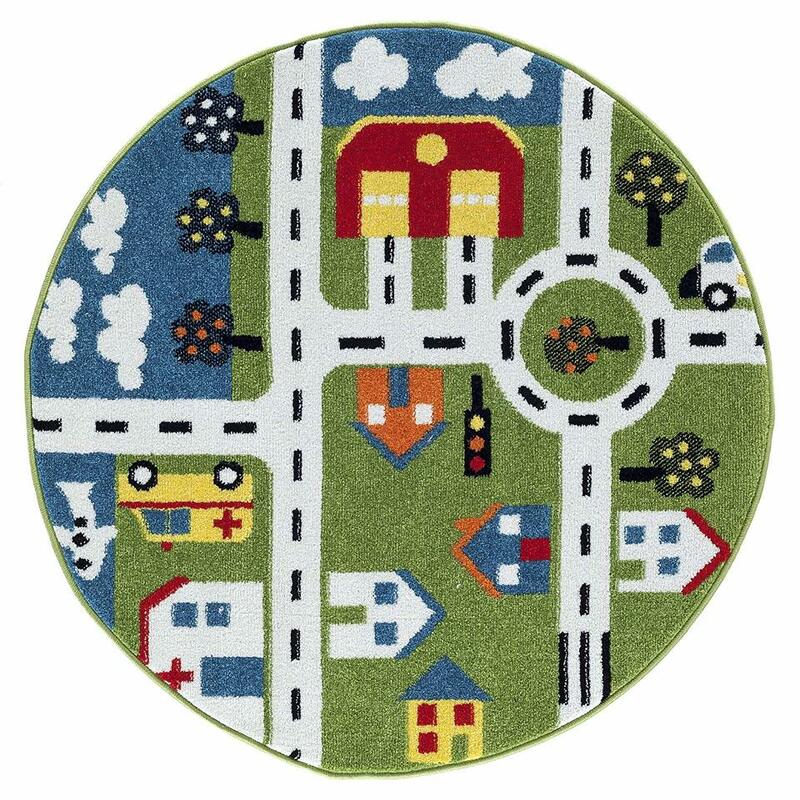 This Whimsical area rug features a fresh take on the cityscape, a road weaves from the coast to the sky, passing police officers, houses and a hospital on the way. 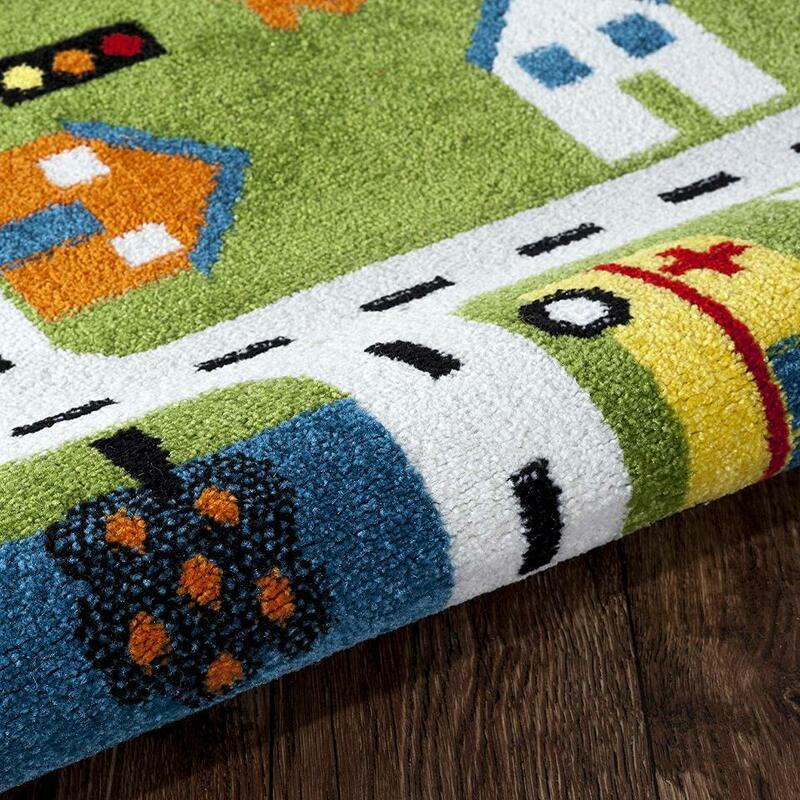 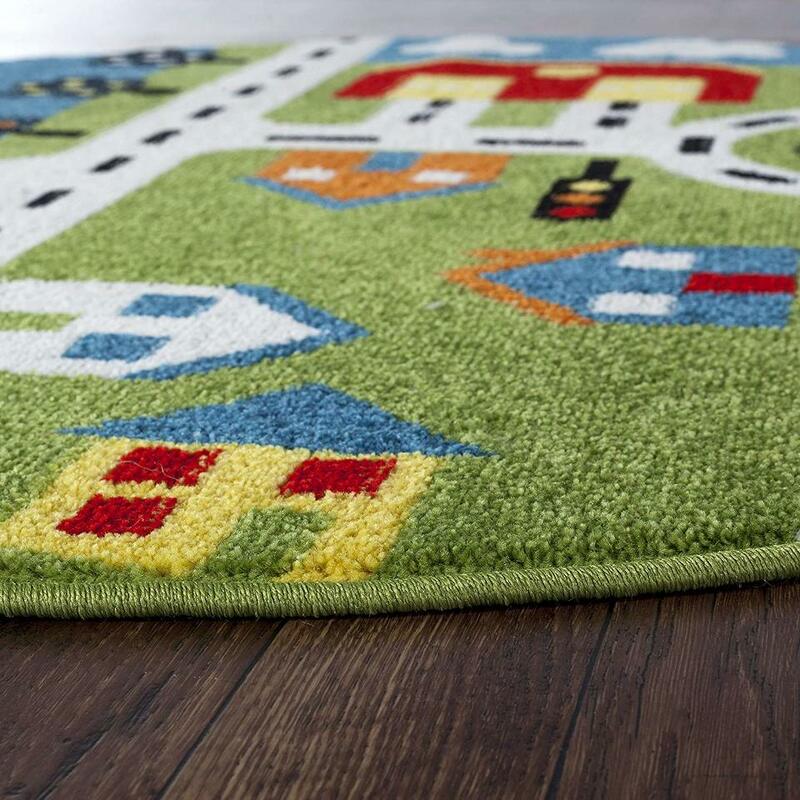 This creative rug invites imagination and adds playful style to any room. 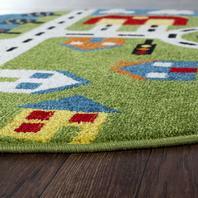 Manufactured of Olefin with a jute and latex backing, this rug is naturally durable and feels soft on bare feet.